This news article should awaken you to the horrors of the damnation of Sharia law. A Muslim woman converted to Christianity and has been convicted and sentenced to death. She was allowed to give birth to her baby who will have no mother after two years of breast-feeding. This is the law Muslims want to govern all of mankind with. Whether you are Christian or not, is this the type of law you want governing you? If not, then please join with others to stop this infiltration of our societies and cultures by those promoting the adoption of Sharia law. Don’t idly stand by and watch or before long, you’ll be ‘watching’ your freedom taken right out from under you. This is not a Christian-only threat — this is a threat to all of mankind. The baby girl born to a woman sentenced to hang in Sudan for marrying a Christian American citizen met her father for the first time — a moment that was captured in a bittersweet photo. Daniel Wani, an American citizen who lives in New Hampshire, held his daughter, Maya, in his arms as she rested peacefully days after being born at a Sudanese prison. The moment of joy was tempered by sorrow as Meriam Yehya Ibrahim Ishag, the Sudanese woman facing flogging and a death sentence for marrying Wani, gave birth to baby Maya earlier this week. 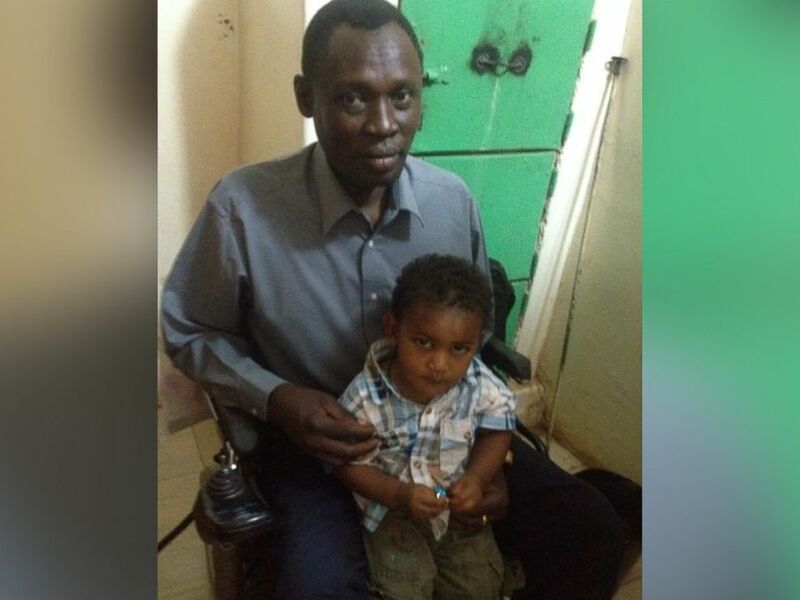 PHOTO: Daniel Wani, with son Martin, after a visit to see his wife, Meriam Ibrahim, in Sudan, May 29, 2014. Sudan’s Islamic court considered Ishag a Muslim and did not recognize her marriage to Wani, a Christian. That constituted a crime of adultery and she was sentenced to receive 100 lashes. The court also found her guilty of apostasy by converting to Christianity and sentenced her to be hanged. The flogging and the death penalty were to be delayed until after she gave birth. The couple also has a 2-year-old son named Martin and reports state that the boy had been living with his mother in the prison. Ishag is considered Muslim by Sudan’s courts because her father was Muslim, though she raised by her Christian mother. Wani and his brother, Gabriel Wani, grew up in Sudan but moved to New Hampshire. He returned to Sudan last week after his wife was condemned to be hanged. Sharia law is nothing to laugh about or ignore. There is a large and highly committed group of individuals and Islamic organizations dedicated to establishing Sharia across the entire globe. This threat is to Christians and non-Christians alike. If you like freedom, you must take a stand now in order to withstand this threat. Not everything is as it seems. This is a common phrase people have used for centuries. How well we know that phrase, but do we consider it in our day-to-day living? Here’s another well-known phrase: Appearances aren’t everything. Or, “A book is not known by its cover.” They say pretty much the same thing. We have to investigate something fully before we can state as-a-matter-of-fact what it is. What about global and national news broadcast to us daily? 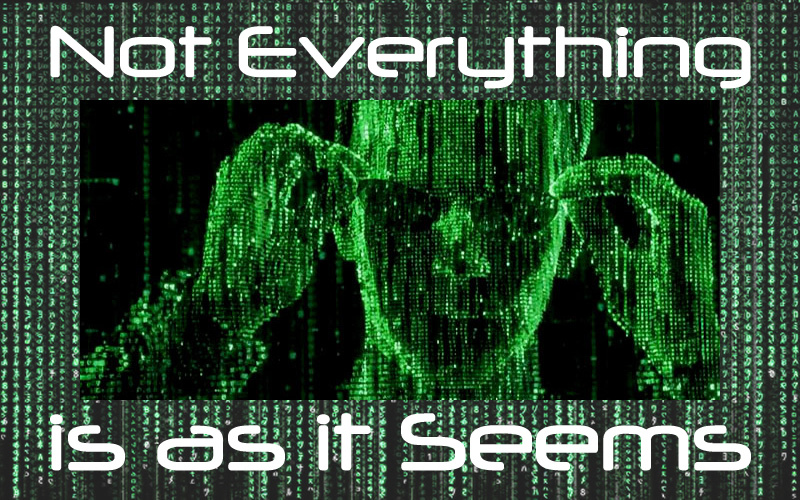 Is everything as it seems to be, as provided by the news reports we hear? I think not. I don’t want to get people paranoid about listening to the news, but i do want people to think about what they are hearing, and if it’s a critical issue, do their own research to validate or disprove what they are hearing. 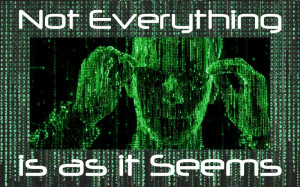 There have been many times when we are told something via mass media that simply is not true. For example, the incident that the United States uses as an excuse to enter the Vietnam War was, years later, admitted by government officials to be what is called a ‘false flag.’ The event never happened. We were lied to. The event was staged to provide a reason for entering the war to the American people. A similar thing happened with the Iraq war. Weapons of mass destruction, the stated justification for our involvement in that war, were never found. Again we were mislead by ‘intelligence’ sources who fabricated information in order to achieve a pre-determined end. We call such events “false flags.” It’s getting to the point now that we never know if the government is telling us fact or fiction. How can we trust a government that is so manipulative and decidedly dishonest. Is our government willing to tell us anything and do anything to achieve their ends? It’s plausible. Have we already passed the point of no return? I pray we can educate people to make better decisions when voting for our political leaders. I pray we can smarten up to not just take information dished out to us as fact on sheer face value. We are living in deceptive times, people, and we have to be sharper than ever if want to make sense out of nonsense. 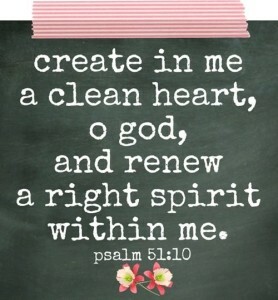 Walk by the spirit of God and you will be able to separate truth from error, fact from fiction. Remember that not everything is as it seems. Let’s have the genuine concern and take the time necessary to find out what is really going on under the surface so we can help each other change the culture of deception in which we live. Memorial Day Tribute How Many More? It’s Memorial Day in the United States of America and our condolences go out to the families of those whose lives were taken from them through acts of war throughout our history. We honor those who have died in the pursuit of freedom so that we can worship God and live honest. good lives in service to God and our fellow people. I have one question today and I pose it to those who make the executive decisions to send people into battle. The question is simple, “HOW MANY MORE?” How many more must die before we learn war no more. How many must suffer the loss of the lives of loved ones before we finally realize it’s all in a mistake. How many more lives must be sacrificed at the alter of unbelief and false belief systems before we realize we live in a spiritual world of light and dark. When will we finally understand that the spiritual entities of darkness are manipulating people to do their will? How long will it take before people realize the wars we are sending our loved ones into are no longer for freedom but for control — control of territories, control of oil and control of people? 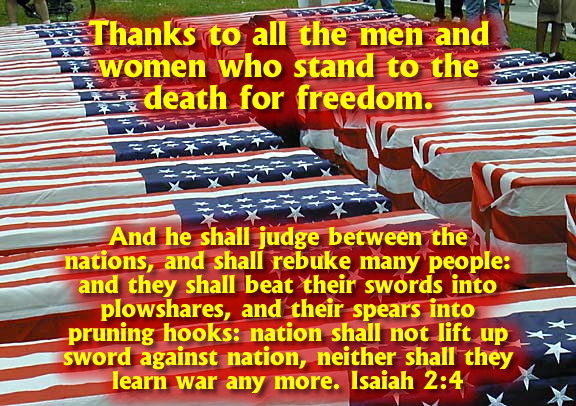 This Memorial day and every day we also honor those Christians who have died, and who are dying daily for standing on the truth of God’s Word throughout the world. Many western Christians don’t realize how predominant Christian persecution is in the world, even though we are feeling it more and more in our own United States of America. It’s happening, people, and the number of those who are martyred for their belief in Christ the son of God is increasing at an alarming rate. Even those who are not Christian need to take note. If you think just Christians will be martyred at the hands of false religion, you are mistaken. Soon the time will come when everyone — regardless of their beliefs or lack thereof– will be required to fully submit to a global religion that will stop at nothing to gain complete political, economic and religious control of the entire world. The choice will be to convert to their false religion or die. 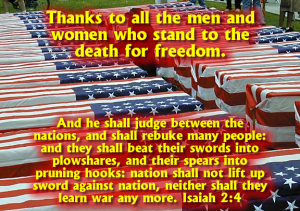 Isaiah 2:4 And he shall judge between the nations, and shall rebuke many people: and they shall beat their swords into plowshares, and their spears into pruning hooks: nation shall not lift up sword against nation, neither shall they learn war any more. This Memorial day, and every day, let us remember that the day will come when all fighting shall cease. There will be no more suffering, no more disease, no more war and no more death. That day is nearly upon us, so make sure you keep your candle lit for the truth of God’s Word. Comfort those who grieve for those they have lost and help them see the hope God offers to those who believe. Tattooed by God — really? Does God like tattoos? Most Christians would say no, tattoos are not something a Christian would want to get. I personally wouldn’t get a tattoo because I like my skin the way it is. But I think the Bible says God does some tattooing himself. Seriously? Isaiah 49:16 Behold, I have engraved you upon the palms of my hands; your walls are continually before me. I know lots and lots of people who suffer through the painful process of getting tattoos all over their bodies, some from head to toe, others just one here or there. Most of the tattoos I’ve seen are images of reptiles and other animals, or of course the names of people. But I’ve never seen anyone with a tattoo on the palms of their hands. That’s where God says he’s tattooed you. The palms of the hands are perhaps the most sensitive part of the body when it comes to getting a tattoo. Few people want to go through the pain of getting a tattoo on their palms because it’s so painful. But God declares that’s what he’s done with you — he’s tattooed you on the palms of his hands. The context of this verse is regarding Israel, God’s chosen people whom he loves dearly. The meaning he is conveying is that his people are forever in his sight, forever on his mind and heart and that he will protect them and sustain them no matter what. The reference to ‘walls’ is either to the walls around Jerusalem, but more likely it means the walls of their homes. He will protect you from harm, from the harsh elements of nature and from wild animals who might want to devour you. The next time you feel alone and lonely or discouraged, remember that God has engraved you on the palms of his hands. You are ever before him, he has not forgotten you and will never forsake you. You are God’s property now and Jesus will not lose even one of his ransomed brethren. Do you realize how loved you are? Do you understand how important you are to God and our Lord Jesus Christ? Think of the person you love the most; the person you would do whatever was in your power to protect, to nurture, to strengthen and encourage. Think of the person you love to spend time with and share both successes and failures. Then think of your Father God because to him, you are that person. Praise God for his tattoos! Fruit is one of the most beneficial foods for your body — as long as it’s fresh. Fresh fruit supplies most of the nutrients your body needs to sustain healthy life. Rotten fruit will make you sick and can even kill you. 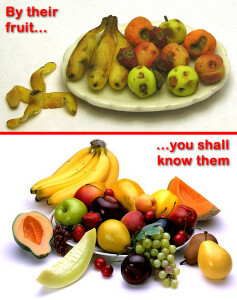 But their are warning signs to keep you from eating rotten fruit. It looks bad, it smells bad and if you do take a bite of it, it tastes horrible and you’ll spit it out immediately. Good fruit builds you up, rotten fruit can kill you. Spiritual fruit carries the same attributes as real fruit except it’s in the spiritual realm. There is good spiritual fruit and rotten spiritual fruit, each produced by a different spirit. The difference is that you have to learn to operate your spiritual taste buds to tell the difference. You can’t always tell by smell, sight or the other three senses God has given us to perceive the physical world around us. You can tell easily by the spirit of God you received at the time of the new birth. Jesus spoke about this to teach us that in this world, there are those who claim to be from God who are not. Let’s read what he said. Matthew 15:15-20 Beware of false prophets, who come to you in sheep’s clothing, but inwardly they are ravening wolves. Every tree that brings not forth good fruit is hewn down, and cast into the fire. The subject Jesus was speaking about was false prophets. What’s a false prophet? It’s someone who claims to be God’s representative, who claims to have heard from the one true God and claims to have a divine message from him. A false prophet is the opposite of a true prophet. The difference is that the false prophet is lying and the true prophet is not. Today I want to bring up the elephant in the room of western culture. I know it’s not politically correct to speak about this subject but by God I am what I am and it’s my duty to do whatever I can, with my Lord’s help, to declare the truth in love and to influence culture for Christ. If I offend anyone, I ask you to look within yourself for that is where the offense lies. The subject I’m talking about is the biggest threat to western culture that ever existed. It’s infiltrating the western nations like a plague and is the largest, fastest growing, and most dangerous anti-Christ religion on the face of the planet. The goal of this religion, clearly and stated many times and in many ways in what they call their ‘holy’ book, is to take control of, by force if necessary, the complete political, social-economic and religious spheres of life over the entire earth. I am of course speaking about the Muslim religion founded by the false prophet Mohamed. The Muslim religion is the biggest threat to western culture and the entire world since the beginning of time. Why is it so dangerous? Because their ‘good news’ boils down to this: Become a Muslim or die. Confess their false confession of their false faith or suffer the consequence of death at their own hands. Am I serious? Of course I am. Am I right? That’s what their ‘book’ says, many times and in many ways. If you don’t believe me, pick up a copy of the Koran yourself and read it. But isn’t that just ‘radical Islam?” Surely mainstream Islam is a ‘peaceful’ religion and wants to help the world become a better place. Isn’t ‘militant’ Islam just a small minority out of the 3+ billion Muslims on the earth? Remember what Jesus said. 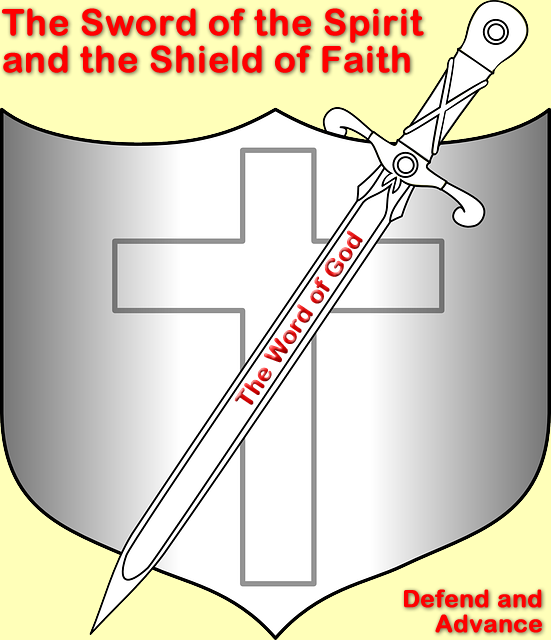 ”By their fruit you shall know them.” What is the fruit of Islam? Let me summarize what this anti-Christ religion is all about. FACT: Muslim doctrine emphatically states and insists that Jesus was not crucified, hence he did not rise from the dead but was ‘assumed’ into heaven after Judas sacrificed his life for Jesus on the cross. 1) He’ll reprove everyone who thinks he’s the son of God and tell them they are wrong. 2) He’ll remove all the crosses from all the churches across the globe. 3) He’ll kill all the pigs on the planet. 4) He’ll repeal the Jizrah tax placed upon those who refuse to become Muslim, meaning from that point on, those who refuse to convert will be killed by the sword or guillotine. There’s another thing he will then do. Muslims believe that their savior, al Mahdi, the twelfth Imam, will surface after centuries of hiding, to unite the Muslim under himself, the Caliphate of the revived Ottoman empire. They believe Jesus, who was ‘assumed’ up into heaven instead of resurrected, will be asked to pray to God by the Mahdi, and that he will humbly stand behind the Mahdi and say he is one of his servants. This Jesus will then instruct everyone to worship the Mahdi. Interestingly enough, Muslims also believe that at that time, another spiritual figure will appear on the planet to lead Muslims astray. They say this is person is Jewish and that the Mahdi will kill him after he converts many Muslims to the Jewish faith. They call this person al-Masih al-Dajjal (“Messiah-Liar”). They say he will deify Christ and pervert the words of the true Messiah. The location he first appears is variously given as the Jewish quarter of Isfahan, or in Khurasan, in al-Kufah, or between Shaam and Iraq. The Muslim ‘anti-Christ’ is in fact the true messiah, Jesus, returning to put down all rule and power and authority and to establish his kingdom in Jerusalem. Can you see how the Muslim faith totally reverses the revelation given by God in the Bible? Why is this false religion so dangerous? Because the father of it is the devil himself. He’s devised an entire religious system that denies, skews and perverts the doctrine of salvation in the Bible told since the beginning of time. The devil has brought over 3 billion people into his fold and has given them the order for ‘worldwide Jihad.’ Let’s discuss what ‘worldwide Jihad’ means. When Muslims first enter a nation, their numbers are small. They work their way into society and reproduce at the rate of 8 to 1 over the people they are infiltrating. As their numbers increase, so do their demands. When they have a substantial-enough population in an area, they start demanding for Sharia law. Sharia law is a completely oppressive system that demands total submission from those it governs. Sharia law is totally incompatible with the constitution of the United States as well as the political systems of all western countries. When the number of Muslims increase to the point where they have the majority, they completely take over. They forcefully overthrow the existing government of the nation they have infiltrated, and they demand that everyone become a Muslim. They have the option to tax those who refuse to become Muslims or to kill them. The tax is known as the Jizrah tax. Keep in mind that it’s optional – if they want to offer it to you — but if not, then they can legally kill you according to their ‘holy’ book. What does this have to do western culture? Everything. Those of the Muslim religion want complete control of the entire planet — political control, social-economic control and to be the only belief system on the planet. Once they infiltrate a country, they change the culture of that country by adopting Sharia law and mandating their religions beliefs upon everyone. Jesus warned that the time was coming when those who killed Christians would do so thinking they were doing service for God. John 16:2 They shall put you out of the synagogues: yea, the time comes, that whosoever kills you will think that he does God service. Brethren in the Lord, we have to be aware of what’s going on and we have to stand against the methods of the devil. How do we know this religion is false? Because their doctrine totally contradicts the revealed Word of God. But even those who aren’t fully equipped with Biblical knowledge can know by inspecting the fruit of this religion. By their fruit you shall know them. Matthew 15:21-23 Not every one that says unto me, Lord, Lord, shall enter into the kingdom of heaven; but he that does the will of my Father who is in heaven. Be aware of this threat — the biggest threat to God’s true people since the beginning of time. It’s growing daily and they are committed. By birth alone they will have the majority of the population in every major country within the next 30 to 40 years. Calculate the numbers yourself by the current birthrate of Muslims to non-Muslims. So how do we fight against this threat? What do we do? Let’s go to God’s Word to see the answer. Ephesians 6: 10-17 Finally, my brethren, be strong in the Lord, and in the power of his might. 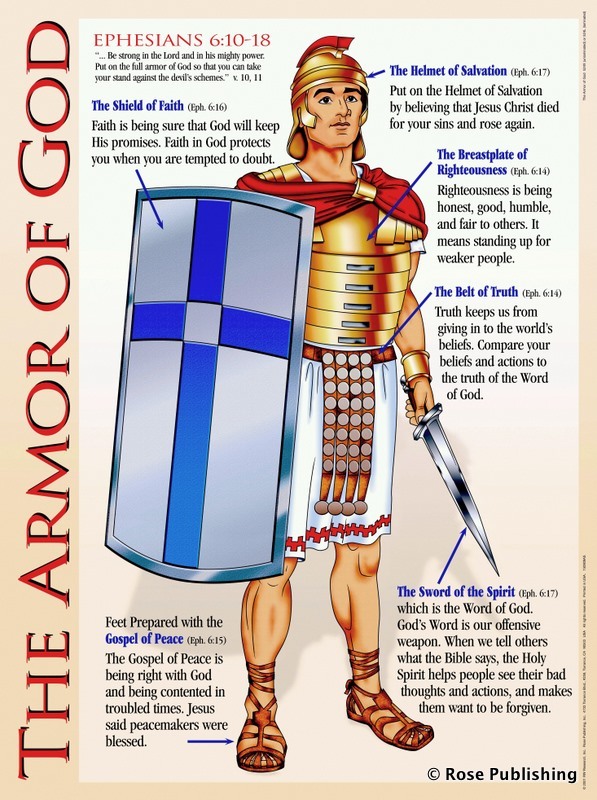 We’ve been given the armor of God and we must ‘put it on.’ We have to stand on what God says in his Word. Don’t be fooled by what you hear from those in this false religion. They will say whatever is necessary to get you on their side. I know Muslims who I interact with several times a week. The ones I know are not militant. They are not a threat to me; at least not at this point. But they are promulgating a false religion that is a threat. They are adhering to a system of belief that demands the whole world to join it and worship their false god through their false prophet Muhammad. When the Muslim Caliphate is restored, the call will go out to all Muslims for worldwide Jihad by force. Will we think that the ‘majority of peaceful Muslims’ will not heed the call? Think again. We are talking about spiritual realities here, not physical. While at this time they may say, “peace, peace…” the time is coming when their strict adherence to Muslim beliefs will allow spirits to come in to direct what they do. They won’t be peaceful then. We have been warned by our Lord to watch out for false prophets by inspecting their fruit. Though they say, “Lord, Lord…” it is not the Lord they are worshiping. There are several ministries working toward both converting Muslims to the true Christian faith while enlightening others about the lies of their doctrine. I suggest you look these out and do what you can to help. If you don’t do that, at least consider my words here and do what you can in your sphere of influence to stand against this threat. In the end, we know who wins. Our Lord Jesus shall return from heaven with a multitude of his heavenly armies and shall, by force, put down this false religion and all who worship Allah. They call him the ‘Dijjal’ but I call him my Lord Jesus Christ, King of Kings and Lord of Lords unto whom all knees shall bow, including Mohammed. What a glorious day that will be. Let’s look forward to it and do all we can in the meantime to educate people and stand against all forms of false beliefs. America is in decline and the slope to get it back to its former glory is very slippery. Many Christians are concerned, but many more need to be. Once it’s gone, it’s gone forever. In this article, Dr. Ben Carson discusses what needs to happen to prevent America from suffering social, moral and ethical demise. The culture wars have grown bitterer than ever, with social media being the primary escalator. Heated debates about sensitive topics like gay marriage and health care reform have dominated virtual conversations. Twitter arguments and Facebook rants seem to fuel anger with one another rather than solve problems. Many Americans have grown weary and want to see the arguments diffused. Ben Carson is one of them. In 1987 Carson successfully separated conjoined twins who were joined at the back of the head. He is the recipient of many awards, including the Presidential Medal of Freedom presented to him in 2008 by President George W. Bush, and had the honor of speaking at the 2013 National Prayer Breakfast. He has authored six books, including Gifted Hands, an autobiography that made into a hit movie in 2009. His latest release, One Nation, recently hit bookstands. 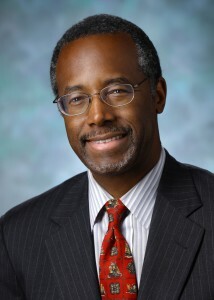 These days, Carson is a columnist for the Washington Times and Fox News contributor. Even before retiring from surgery in 2013, Carson has been on a mission to rally the citizens of the United States—and the Church—to unite. In One Nation—and often during public speeches—he stresses several important needs in America. The first need, he believes, is to bring back Judeo Christian values. “These are the values that guided our lives and led us to the pinnacle position in the world faster than any nation in history,” he said. Another thing that is crucial to the strength of our nation, he says, is knowledge. The best way to start, Carson advises, is to spend a half hour per day learning something you don’t know. It doesn’t matter whether it is math, science, geography or history. America can recover from it’s slip but it will take a concerted effort from those who care enough to make and promote significant change. Dr. Ben Carson is a wonderful man of God with some very poignant and wise views about what’s going on and what needs to happen. I encourage you to get more concerned that ever and join with others who want to influence Christ for culture. 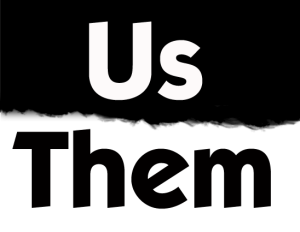 Us and Them: Anyone Feel Out of Place? Us and Them is the name of a highly popular and mystic 70′s song by Pink Floyd. It speaks of people from two opposite world views who don’t have common ground and who oppose one another. That’s pretty much the same situation that we face as Christians in the world. It’s ‘us’ Christians and ‘them’ non-believers. When confronted by Pilate, Jesus emphatically stated his kingdom was not of this world. John 18:36 Jesus answered, My kingdom is not of this world: if my kingdom were of this world, then would my servants fight, that I should not be delivered to the Jews: but now is my kingdom not from here. He also stated that those who believe in him are not of this world. John 17:14,5 I have given them your word, and the world has hated them because they are not of the world, just as I am not of the world. Christians are in this world but not ‘of’ this world. What on earth does that mean? 2 Corinthians 4:4 In whom the god of this age has blinded the minds of them who believe not, lest the light of the glorious gospel of Christ, who is the image of God, should shine unto them. The Christian world view is that the world is heavily influenced, even controlled, by Satan. Those who believe Jesus is Lord, believing God raised him from death, have a completely different world view than ‘normal’ people. My ‘normal people’ I mean people of natural human birth, not yet born from above by the gift of holy spirit, given by God when one does confess Jesus is their living Lord. The secular world view is that there is no God, or if there is, God is not concerned with the affairs of men but has left it up to us to decide our own fate. In other words, the secular world view states that man is god of this world and it’s up to man to make the world the way it should be. The biggest outside conflict the Christian experiences is this ‘us’ and ‘them’ dichotomy. We believe. We each have a relationship with God our father and with our Lord Jesus Christ. We believe things in this world should be aligned with God’s Word. We believe what the Bible says about spirituality, ethics, morality and every other subject under heaven. Do you fee out of place in this world? Do you feel like you’re secluded, ignored, and that your views are discounted by the majority of people? Do you feel you’re being pressured to conform to laws passed by unrighteous government leaders and representatives? Well don’t feel bad, we’re all going through the same things. We do our best to live our lives the way God intends, and we try to work together to change the world to reflect more of God’s truth. But often our progress is slow and our advances are minor. Because of this many shy away from attempting to change anything because they feel their efforts are futile. Nevertheless, here’s what God has to say about it. Abraham looked for a city that was ‘not of this world’ as we do. The Christian’s calling is a heavenly one, not an earthly one. If you’ve read the book of Revelation, then you know things will not get better until our Lord returns, but worse. Still we do our very best to do works in this world that glorify God and our savior Jesus Christ. We still try our best to change things to conform to God’s Word. We do that first by renewing our minds to agree with God’s Word and will. Us and them. Light and darkness. Truth and error. That’s the dichotomy we are involved in on a day-by-day basis. It won’t change until our Lord Jesus returns from heaven to establish his own kingdom in Jerusalem. At that time, massive change will occur and earth will once again reflect the glory of God and his Christ. Until that time, I want to remind you that you are not alone. If you feel like it’s ‘us and them,’ I encourage you to find comfort and solace in Jesus’ words, “lo, I am with you always, even unto the end of the world.” It may feel like you are alone but you are not. It may seem that you are ineffective or sidelined, but as long as you are making genuine consistent effort, just remember that it is God who gives the increase. Just do your part and God will do the rest. Just be glad you’re the ‘us’ part of the equation! Praise God! Changing culture is external, but it has to start from within. Culture is the result of what people do and make, fueled by their belief system. You can only produce what you are. If you want to change culture, produce godly things from godly thoughts. If you don’t have those godly thoughts, you can’t produce godly things and you can’t change culture. Changing culture starts with a change of heart and the heart is governed by what you believe down deep inside — what you really believe, not necessarily what you say you believe. “The proof is in the pudding,” they say. James 3:9-13 With the tongue we praise our Lord and Father, and with it we curse human beings, who have been made in God’s likeness. In these verses, we see that since we are God’s children, endued with his spirit, we should be acting like it. We need to be wise in how we conduct ourselves, both with each other in the body of Christ and with others in the world. It’s not wise to do any differently. Notice how the discussion in the above verses turns to wisdom. Be wise in your dealings with others by conducting yourself in a godly way. James 3:6 The tongue also is a fire, a world of evil among the parts of the body. It corrupts the whole body, sets the whole course of one’s life on fire, and is itself set on fire by hell. It’s not wise to go around spouting off your anger, your bitterness and your disappointments in life. Give those things to God and let him carry your burden. It may sound easier than it is, but on the contrary, it’s the easiest way to control your emotions. Go to God in prayer. Talk with him. Shout, scream, but by all means, talk with God. He’ll calm you down. He’ll comfort you. I’m not saying disrespect God at all, just be real when you speak with him. A key here is to not incite anger in people. If you want to fight, fight the devil and his host, not people, especially those who you love the most. Jesus said to love our enemies, so what about our own family members and our own brothers and sisters in Christ? Those are the people we have the most contact with and thus the most conflict with. Turn that conflict into opportunity; the opportunity to love even deeper. 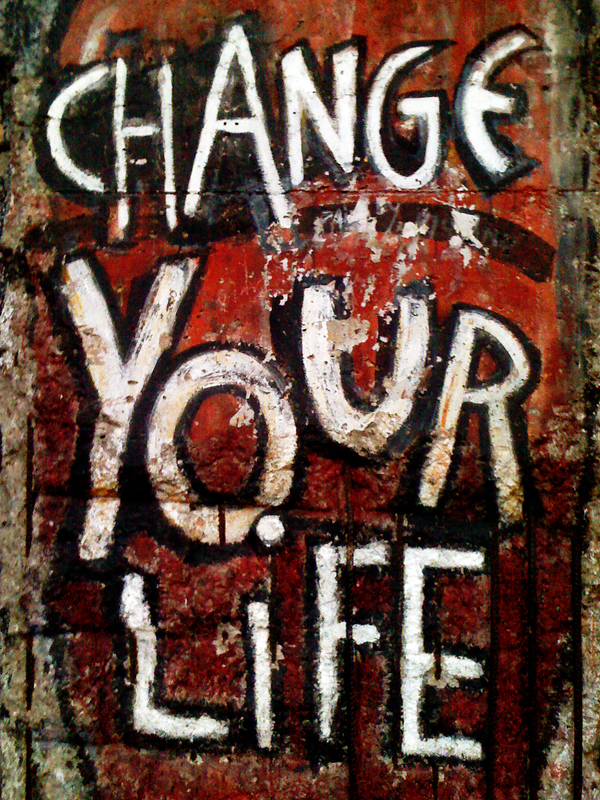 Changing culture requires change from within first. When enough people allow Christ to clean up their lives by obeying what he says, then you will see drastic changes in our culture. Luke 6:45 A good man out of the good treasure of his heart brings forth that which is good; and an evil man out of the evil treasure of his heart brings forth that which is evil: for of the abundance of the heart his mouth speaks. If you have confessed Jesus is Lord and you believe God raised him from the dead, then you have been made righteous in Christ Jesus (Romans 3:21,22 among other places), so in God’s eyes he has made you ‘good.’ Bring forth that which is good; let your speech reflect your God-given righteousness at all times. You won’t be arrogant, always right, and incommunicable. You won’t be starting verbal wars, insulting people or inciting them. Instead, you’ll be blessing others, lovingly confronting those those who need it, and acting as Jesus himself would. 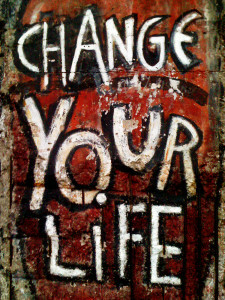 Changing culture starts from change within. 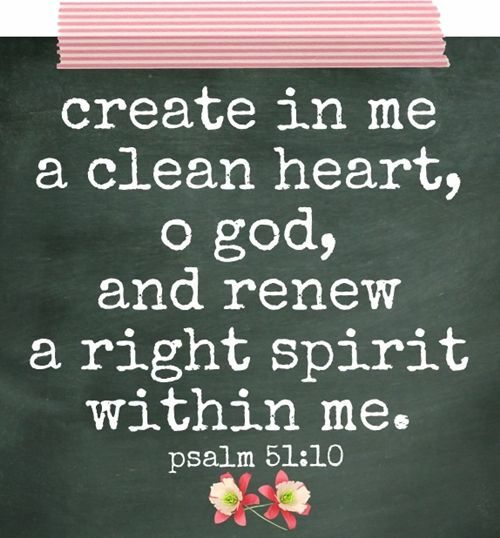 Do your part and God will do his through the power of his gift of holy spirit within you. God’s will is what we’re after as Christians. Not our own will, but God’s will be done. The Lord’s Prayer states this succinctly and leaves no doubt. Matthew 6:10 Your kingdom come. Your will be done in earth, as it is in heaven. That’s exactly what Jesus prayed for in the Garden of Gethsemane that fateful night. You see, Jesus, who had done nothing but good to anyone, was about to be arrested, beaten and whipped, tried illegally and condemned to be crucified. He was facing the most ugly, insulting death known to man and he wanted to make sure his father, God really wanted him to go through it. Jesus didn’t want to go through all of that. Would you? Can you blame him? He was human, after all. But instead of running, Jesus prayed. Instead of cowering, Jesus grew stronger. 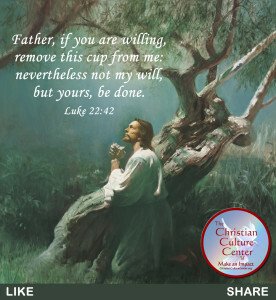 Instead of forsaking his calling, Jesus agreed to do exactly what God’s will for him was. And he sure did go through with it all. He went through everything they threw at him and did not shrink from his commitment to see God’s will through to the end. Are You Seeking and Doing God’s Will? What about you? In your life, are you seeking and doing God’s will, or are you just pursuing your own will. Do you know what God’s will is? Are you able, right now, to definitively say what God’s will is for your life, or are you still trying to figure it out — or worse yet — not bothering to try to discover God’s will at all? It’s all to easy to ignore the issue and to just go about our lives being as ‘good’ as we can without giving up too much of our freedom and what we really want. Who can know God’s will anyway, right? But what if we really could know what God’s will is? Is that even possible? What do you say; yes or no? I challenge you today to answer this question yourself: can you and do you know what God’s will is? How Can We Know What God’s Will Is? Years ago a series of events happen that caused me to seek God more than any other time in my life. But it wasn’t through loss or depression or anything else, it was simply because God was calling me. I had this longing to find out what God wanted me to do in my life, and I started searching. Without going into great detail, I finally went on a five day fast with the goal to know what God’s will for my life was by the end of the five days. I had never fasted before. I ate no food for five days and only had water and an occasional cup of coffee. Maybe that’s not a ‘pure’ fast, but it’s what I did, but the one thing that was burning on my heart the whole time was to find out what God’s will was for my life. “God, what is your will?” was my constant prayer during that time. By the middle of the fourth day, I had no further enlightenment at all. I still didn’t know up from down or inside from out regarding God’s will. I had gotten out of my apartment all day, every day of the fast because I knew I wouldn’t find what God’s will was without going somewhere, but I didn’t know where to go. They say God works in strange ways, was this one of them? When I got there, I started condemning myself for being there, even without getting high. But as I walked through his kitchen I saw a syllabus on the kitchen table. It was the syllabus for a class on the Bible and it caught my attention. I picked it up and looked through it. My friend was still upstairs, on the way down. When he came into the kitchen I asked him about the syllabus. He said it was left there by a girl he met that he really liked. I asked him if he had any interest in it, and he said he had more interest in the girl. But he also said that the class the syllabus was for was starting the next night, and he was going to go to check it out himself. He said that if I wanted to go with him I could. Let’s see now… I’m on a five day fast to know God’s will; this is the only clue I’ve had about anything Biblical or spiritual-related in the first four days of my fast. Since that’s the only seemingly bit of direction I had, I decided to go. No, I did not get high that night. The fifth night of my fast I entered this living room and sat down for the first session of the class. Within a few minutes of teaching, God answered my prayers distinctly. Keep in mind that nobody knew I was fasting but me. I had told nobody. I had read a book about fasting and it included the verses in the Old Testament about not making a show of fasting, but to seek God’s will. That, I was doing. That statement blew me away. All I knew at the time was that I had been fasting and praying for five days to know God’s will and here someone just told me what God’s will was. “God’s Word is God’s will.” So simply said, and so powerfully accurate and true. I went out to my car and grabbed an envelope of the only money I had and threw it at the feet of the person in charge and said, “I need this course, can I take it.” There was a small charge for the course which I had no objection to paying the little money I had for. From that point on, I started to sincerely and consistently study God’s Word for myself. The course taught me how to research God’s Word for myself. I spent the next 10 or so years doing nothing but word studies so I could learn God’s Word as much as I could — and God revealed himself to me through his son, Jesus Christ, through the written Word of God, the Bible. If you want to know what God’s will is, you have to know God’s Word. The Bible, God’s Word, is “first revelation.” It contains everything having to do with life and godliness. II Peter 1:3 According as his divine power has given unto us all things that pertain unto life and godliness, through the knowledge of him who has called us to glory and virtue. The more you know God’s Word, the more you know God and his will for your life. It all starts with the written revelation of God’s Word. God’s Word reveals God and his son Jesus Christ, through whom you then develop a personal relationship with both of them. God’s written revelation covers everything you need except when you need specific direction. Having a firm foundation in the knowledge of God’s Word provides a fertile ground for God to give you specific information when you need it. I call this ‘personal revelation.’ You don’t have to know God’s entire Word for him to give you personal revelation — in fact he can reveal anything to you at any time even if you don’t know his Word, praise God — but God’s Word is revelation in itself, upon which all other ‘personal revelation’ hinges. We’ve all heard the horrible stories about people who did strange and sometimes evil things to others, “because God told me to.” We don’t want to go there. God will never tell you to do something that is contrary, in contradiction to, his written word, period. God does not contradict himself. Having a firm knowledge of God’s Word is a safeguard. Whenever you think God is telling you something, revealing something to you, compare what he tells you to the written Word to make sure it is in agreement and is indeed from God. Do You Want to Learn God’s Will? If you aren’t clear on what God’s will is for your life, I urge you to start seeking and to start learning. Seek God through his Written word and through prayer. Get his already-revealed knowledge as you pray and build your relationship with him. God’s will is not some hidden mysterious thing. He’s written it in his Word. He embodied it in his son Jesus Christ. He’ll reveal it to you on a deep, personal level as you seek him. Seek God’s will and you shall find it.